Established in 1984, Essex based Briarswood Clinic is the ideal choice for a range of health and beauty treatments in Canvey Island and the surrounding areas. We have a thriving slimming clinic providing expert advice about your weight loss needs and can also supply medical diet pills at very affordable prices subject to a consultation with a qualified professional. We also offer a range of facial treatments including injectables for smoothing and reducing lines and wrinkles using high-quality injectables. We provide Microdermabrasion, which is a system of intense exfoliation that rejuvenates the skin. Ultra fine crystals strike the skin to remove its outer layer and at the same time, a vacuum sweeps up the crystals and cellular debris. It"s non-invasive, painless and safe and is suitable for all skin types. Our Essex salon offers the award winning CACI microcurrent, non-surgical facial lifting program. Muscles in the face are painlessly tightened and toned while smoothing the appearance of fine lines and wrinkles. Backed by over twenty years of research, CACI is considered the most famous and advanced non-surgical face lift treatment system of it"s kind. Tiny electrical impulses, working in harmony with the body"s own bio-electrical field have been shown to stimulate muscle tone and enhance skin tissue. A regular, quick nail tidy-up is well worth the effort but if you"re looking for an effective, luxurious treatment for your hands or feet, our Canvey Island Salon is the ultimate choice for a pampering manicure or pedicure. Addressing a range of commonplace concerns including dry skin, pigmentation/discolouration or physical problems/mobility issues there"s bound to be the perfect treatment to meet your needs. Some of our treatments offer a choice of finishing off with a conventional polish or a longer lasting non-chip gel. Eyebrow shaping - Tweezed, trimmed, combed and waxed. A great deal of work goes into tidying up the unruly bits and creating a look that's tailored to suit the shape of your face. Eyebrow tinting - A professional eyebrow tint will last for 3 – 4 weeks. Instead of topping up with eyebrow pencil, tinting allows you to relax, confident that your brows will look the same at the end of the day as they did in the beginning. 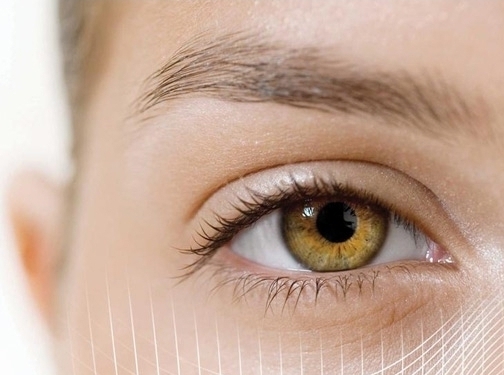 Eyelash tinting - Eyelash tinting lasts for 6 – 8 weeks and further applications are necessary mainly because replacement lashes have grown through. The result won't smudge or run and it"s perfect if you"re dipping in and out of the pool while on holiday. Time saving applying and removing messy mascara, tinting also gives you confidence that your look will survive whatever the day throws at it. For permanent hair reduction lasers target melanin pigment using a concentrated, single wavelength of light. The heat generated damages key reproductive structures essential for regrowth. Suitable for almost any part of the body, men and women, a robust, free, no obligation, pre-treatment consultation is provided for everyone. Laser hair removal is generally regarded as the gold standard in the field of light therapy. Our Candela Gentlelase also reduces hair removal appointment times by up to 40% compared to other laser treatments. UK (Canvey Island, Essex) based business - established in 1984 - providing a range of health and beauty treatments. Website includes details of treatments provided, details of business premises (including photos), details of awards won, pricing, associations, full contact details including company registration number.